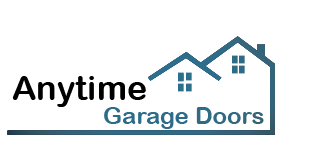 At our company in Oshawa, ON, we install garage door openers. Our professionals are experts in the installation and repair of residential openers. Updated with the new age opener units by major brands, we can accurately diagnose opener problems and install modern chain or belt drive openers. The freshest models can be activated with smartphones and via internet but the power of their motor is still essential to the good operation of the door. When you select a new opener for your home garage, you will need all the help you can get. That’s why our staff stands by and is ready to answer your questions before our techs come for garage door opener installation. The period before garage door opener installation is very important. What we do when the customer is not certain which opener to buy is check the existing system and the characteristics of the door to be able to help. Such information combined with details about your personal preferences will allow us to offer you options. Whether you choose a regular Craftsman opener or a Marantec opener model with a battery back-up system, we are trained to install it. Interested in the high tech Liftmaster openers? Want a smart Genie clicker? Leave everything to us. From garage door opener replacement to clicker programming, all steps of the opener installation procedure are taken to your expectations. 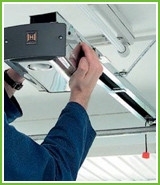 The overhead opener installation service is completed with great attention to the safety features. We make sure all parts are connected right, the wires are in the proper terminals, the reverse system works fine and the release rope is attached to the carriage. We make sure the entire electric system functions well and with safety. And that’s what we always do when we come for regular inspections and opener maintenance too. If you ever need us to fix the sensors, chain, gears, or motor, don’t hesitate to dial our number again. 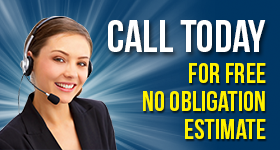 We also offer garage door opener repair and cover urgent requests as fast as possible.